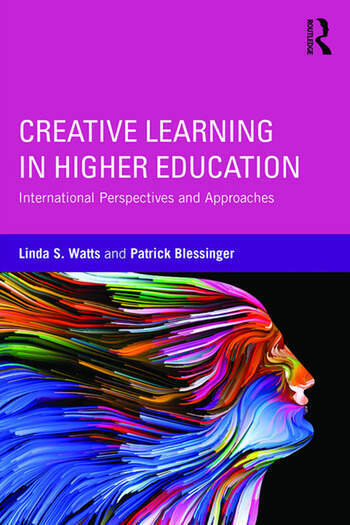 This book provides higher education faculty and administrators a scholarly resource on the most salient aspects and emerging trends in creative learning in higher education today. International contributors explore ways to foster creativity in any student, regardless of academic discipline or demographic characteristics and demonstrate that creativity is a skill all students can and should learn. Chapters analyzes how different countries and cultures implement creative learning, exploring issues of instruction, assessment, and ultimately how these practices are transforming learning. This important book helps higher education professionals understand and cultivate creative learning across disciplines in any college and university setting. Linda S. Watts is Professor of American Studies and Co-Director of the Project for Interdisciplinary Pedagogy at the University of Washington Bothell, USA. Patrick Blessinger is Founder and Executive Director of the International Higher Education Teaching and Learning Association (HETL), USA.